Neck protection with inherent flame retardant in sweatshirt quality. Due to the high demand, Blåkläder has developed this neckline because its double layers at one end protects the neck and face particularly well. 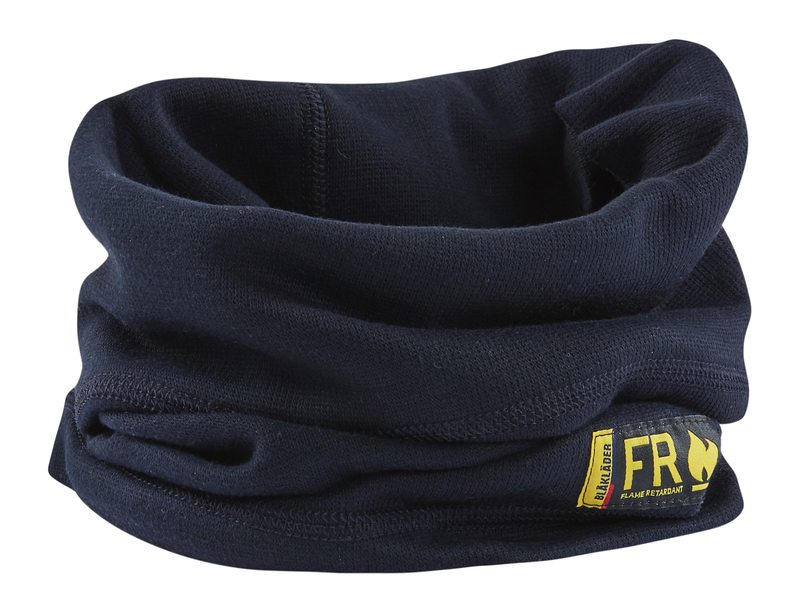 Can be used both as a hat or neck cover and can be pulled up as a face protection when needed. The garment is certified according to EN ISO 11612 A1 B1 C1 F1, EN 1149-5, IEC 61482-2 Class 1 (the material has an ATPV value of 14.8 cal/m²). 59% modacrylic, 39% cotton, 2% antistatic, Royal Rib antistatic Flame Retardant 310 g/ m², Arc Rating 14,8 cal/cm².